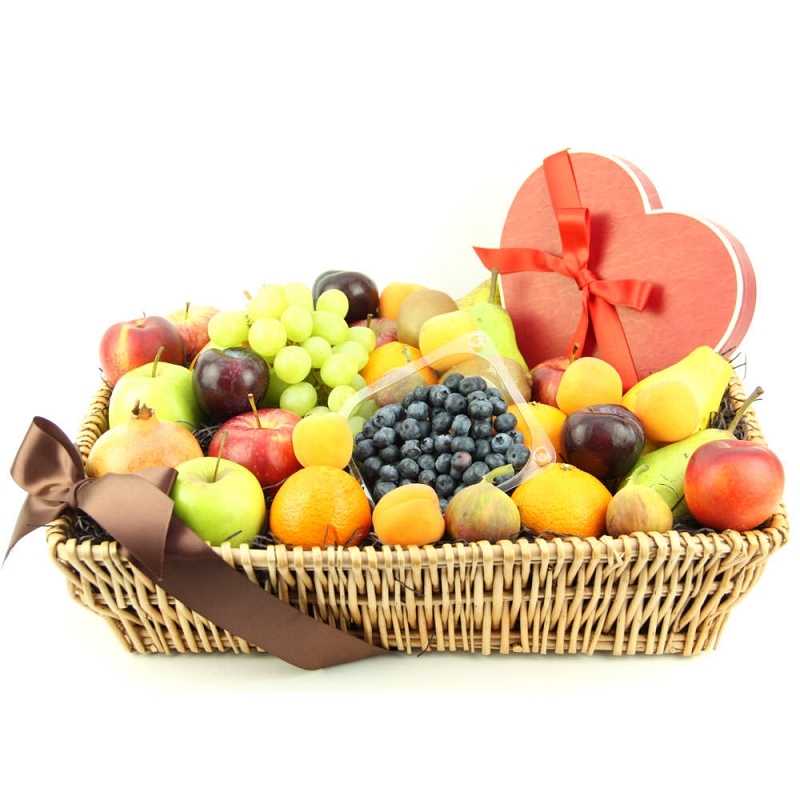 This Jumbo Heartfelt Chocolates Fruit Basket is a bright and shiny addition to your loved ones celebrations. Make their moments glorious by sending this fabulous variety of fresh fruits assorted in a beautiful cane basket with silky ribbon accompanied with Belgina chocolates And Truffles Collection Heart box packed to surprise your loved ones. The hamper is a giant collection of juicy and nourishing fruits that are healthy and can be gifted on occasions like Birthday, Anniversary, Christmas, Thanksgiving or many more. Send this glorious fruit basket by post to UK with your personal message card attached.